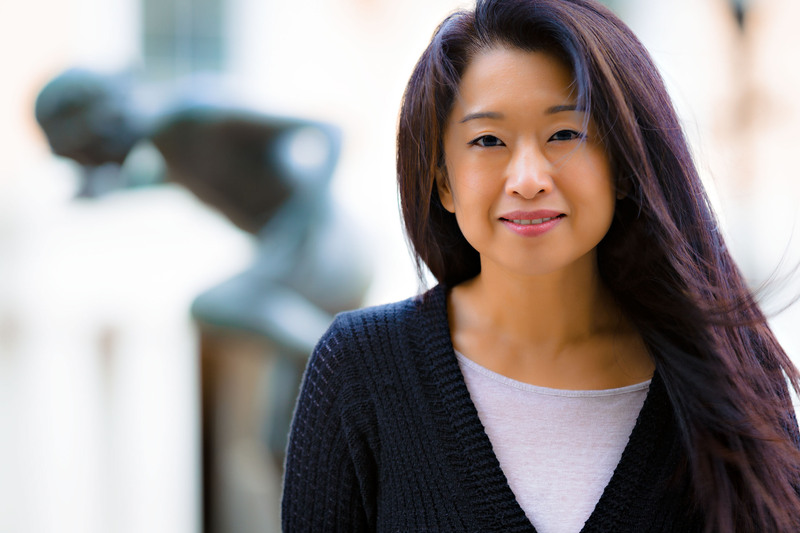 During the 2017-18 season, Ms. Hong will reprise the principal role in Hersch’s On the Threshold of Winter in two new productions in Chicago and Salt Lake City, as well as a returning production at the National Sawdust in New York. Ms. Hong will appear on two new recordings: first, in a recording Hersch’s cortex and ankle with Ensemble Klang (Ensemble Klang records; Oct 2017); and second, in a recording of a breath upwards, a song-cycle by Mr. Hersch scored for soprano, horn, clarinet, and viola (Innova Records). In recital, Ms. Hong appeared in a two-concert residency at Vanderbilt University’s Blair School of Music, where she gave the world premiere of Hersch’s rake forth the embers with pianist Mark Wait and Orlando de Lassus’ Suzanne un jour, in arrangement by Michael Hersch, alongside Mr. Wait, violinist Carolyn Huebl and cellist Felix Wang. Ms. Hong will conclude the season with performances of Kurtág’s Kafka Fragments with Moldovan violinist Patricia Kopatchinskaja at the 2018 Ojai Festival, in Berkeley, CA, and Aldeburgh, UK. Other operatic performances by Ms. Hong include the title role in Monteverdi’s L’incoronazione di Poppea, Morgana in Handel’s Alcina, Gilda in Verdi’s Rigoletto, Fortuna and Minerva in Monteverdi’s Il ritorno d’Ulisse in patria, and Asteria in Handel’s Tamerlano. She has also appeared with Opera Lafayette in Rebel and Francoeur’s Zélindor, roi des Sylphes at the Rose Theater in Lincoln Center and as La Musique in Charpentier’s Les Arts Florissants at the Kennedy Center. As Poppea, Ms. Hong was deemed “a triumph” whose “tonal gleam filled the hall beautifully” (The Baltimore Sun). Other performances in 2015-2016 included Mozart’s Great Mass in C Minor with Mendelssohn Club of Philadelphia; Poulenc’s Gloria with the Phoenix and Charleston Symphony Orchestras. In April, Ms. Hong returned to Philadelphia to perform on Network for New Music’s final season concert in Milton Babbitt’s daunting Philomel. The following month in London, alongside hornist Michael Atkinson, she gave the world premiere of Michael Hersch’s a tower in air during a memorial concert for British poet Christopher Middleton. In June, Ms. Hong appeared on New York City’s highly regarded Lex54 concert series in a recital program featuring works by Kurtág, Babbitt, and Hersch. Upcoming engagements during the 2016-2017 concert season include world and European premieres with Ensemble Klang in Holland and ensemble unitedberlin in Germany.